With a wholesome approach to nutrition, Earthborn Holistic is redefining pet food by creating holistic recipes designed to build and maintain overall health and support all body functions for your dog or cat. Each grain-free recipe is carefully crafted with unique fresh proteins, fats and antioxidants, while other recipes contain healthy carbohydrates and whole grains for energy and whole body health. 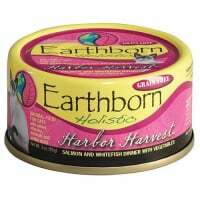 Earthborn Holistic is committed to protecting your pet through superior nutrition, while also committed to protecting the environment, through numerous campaigns. Love your pet. Love your planet.